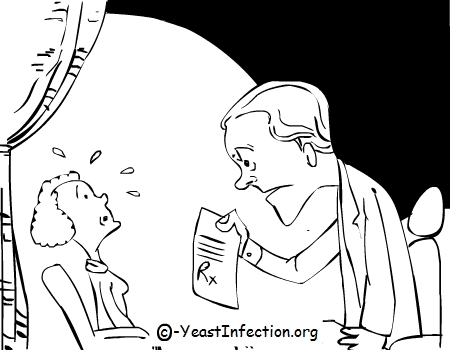 Conventional Yeast Infection Treatment - YeastInfection.Org by Eric Bakker N.D. Although most patients will, at least initially, follow the path of conventional treatment for a yeast infection, many will come to learn that quite often, they are either unsuccessful or the condition recurs. This is because even contemporary medicine has been aware right from the early days of the introduction of antibiotics, that yeast infections, and Candida in particular, appeared to be very resistant to these particular drugs. Today we are now aware that in many cases it is antibiotics which can initiate a yeast overgrowth, and, even when they are simply used to treat the condition, they can actually make the problem worse. One associated problem which has been highlighted quite recently relates to what are known as biofilms. Although they have been investigated in-depth in industry, it is only in the last decade or so that their impact in the field of medicine has shown some surprising results. What has been proven is that, unlike previously believed, intestinal microflora do not live as individual organisms free-floating within their environment. What actually happens is that often they live in a community protected by a biofilm. This biofilm shields them not only against attack by the immune system, but also from attack by antibiotics. In fact in many cases it has been proven that if this community is attacked by antibiotics, they will respond by increasing their numbers and strengthening the film which protects them. No wonder many people report that the symptoms of their Candida infection actually get worse after treatment! This is only one reason why you should always seek out a practitioner who is experienced in treating yeast overgrowths. Traditional remedies may often appear to be ridiculed by contemporary clinicians, but when it comes to Candida in particular, many naturopaths, particularly those who have dealt with the condition often, are far more experienced than many MDs who continue to rely on medicines which have been proven not to work. Yet even when it comes to naturopaths it is best to find one who has prior experience of treating yeast overgrowth. Although there are never any guarantees that any one treatment will be effective, I can certainly say that when patients are provided with the correct treatment and advice, and when those patients stay on track with such recommendations, then 95% of Candida overgrowth conditions are treatable. Yet there are other reasons why conventional medications can prove problematic when it comes to yeast infections – and all too often they can even cause them. Sadly here again antibiotics are on top of the problem list. Vaginal yeast infections can often become established after a patient is treated for an unrelated infection, such as in the urinary tract, with antibiotics. This is because the drug kills off many beneficial bacteria and sets up the microflora community for imbalance. Yeasts, opportunistic little organisms that they are, take advantage of the situation and before you know it an overgrowth has occurred. If a doctor then tries to treat this overgrowth with even more antibiotics then all that often happens is that the yeast colony is strengthened. Other ways in which contemporary medicines can induce yeast overgrowth is when a patient is given immuno-suppressant drugs. In some cases, such as when a patient is given chemotherapy treatment, then obviously this cannot be avoided, but many cortisone based drugs too can suppress the immune system and allow Candida to take hold. Unfortunately oral contraceptives are now thought to predispose many women to Candida, and this is in addition to pre-existing conditions such as diabetes mellitus and pregnancy. Outside of the ‘zole’ drugs, an antifungal which has proven successful, although it can still be problematic, is Nystatin (Mycostatin) and is my preferred OTC treatment. However I would always recommend that patients get a confirmed diagnosis before they attempt any treatment as other conditions, particularly those of sexually transmitted diseases, can produce symptoms similar to those of yeast overgrowth. If you are pregnant then you should see an obstetrician, and if not then book yourself an appointment with a gynecologist. You must though be prepared for most doctors to treat yeast infections with vaginal tablets, creams or vaginal suppositories because these are the preferred methods rather than oral tablets. In many ways such treatments are preferable for the patient too, because although they might be slightly more difficult to implement, anti-fungal oral medication can result in quite severe digestive upset and other side-effects in some patients. 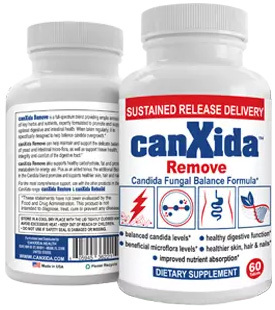 Remember that men too can suffer from Candida infections. Simply because the most commonly known yeast infection is vaginal thrush, it does not mean men cannot have it in different areas of the body. Jock itch can be a problem and has its foundation in yeast overgrowth, as do many rashes, bowel complaints, oral thrush and digestive issues. If your man is suffering from any of the same symptoms as you then be sure to get him checked out too.